What is Electroless Nickel Plating? Electroless nickel plating is an auto-catalytic reaction used to deposit a coating of nickel on a substrate. Unlike electrolytic nickel and electroplating, it is not necessary to pass an electrical current through the solution to form a deposit. 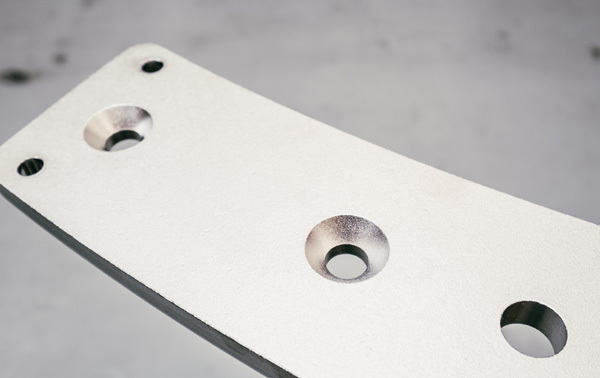 This plating technique prevents corrosion and wear, and the coating covers even the most complex shapes uniformly. It’s perfect for complex molds, dies, and tooling. United Surface Finishing offers 3 kinds of electroless nickel plating: high-phosphorous, medium-phosphorous and our proprietary USF-Excel electroless nickel process. The above finishes are achieved by special pre-plate processes specific to the customer’s request and application. *Note: All operating parameters optimized, all Neutral Salt Spray on properly prepared panels with proper angles in salt spray cabinet. Performance on parts can be variable as significant surfaces change. 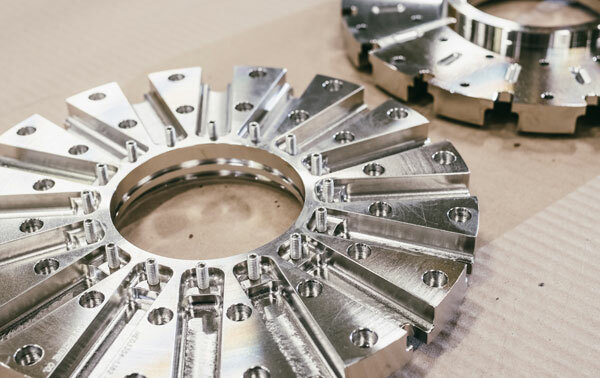 From start to finish, we understand that every step of the production process is critical to achieving the standards both we and our customers expect. That is why we can also provide pre- and post-plating services upon request such as abrasive blasting, buffing and polishing, centerless belt-sanding, and stripping. See Extended Services for a complete list. For several years, a major U.S. rebuilder of molds and dies turned to United Surface Finishing to chrome plate their dies and molds. But when we developed USF-Excel, a proprietary low-phosphorus nickel plating solution, we realized that we could better serve our long-term client by suggesting that they switch to nickel. Looking for a Low Phosphorous solution? Try USF-Excel. Not Sure Which Coating to Choose? Use our helpful chart to determine which coating best suits your needs. We provide a superior finish to every part you entrust to us. But we also relish opportunities to think strategically about product development and unique finishing requests. All the website content in the world cannot compete with actually seeing our work in person. Stop by for a tour of our facility and our brand new Education Center. Defining Value. Delivering Quality. Developing Solutions.